BBC Newcastle has announced changes to its morning line-up. 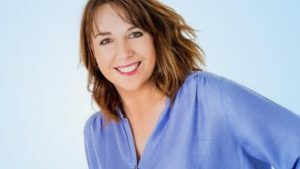 Mid-morning presenter Anna Foster is to join Alfie Joey on the breakfast show, replacing Charlie Charlton who is taking maternity leave. Jonathan Morrell will replace Foster on the mid-morning show. Foster, who lives in County Durham, joined BBC Newcastle in April 2015 and has presented the mid-morning show for the last 17 months. She has previously presented the breakfast shows on GNR, TFM and Magic FM. Morrell started at BBC Newcastle over 25 years ago and has worked on the likes of Real Radio, Century radio and Tyne Tees TV as well as ITN, Sky and networks in Australia. Most recently he was presenting mid-morning at BBC Radio Wiltshire. He said: "It's great to be back at BBC Newcastle at a time when the station is the biggest BBC local station outside London, and getting the chance to broadcast to the audience with the best range of stories I've found anywhere in the world - I look forward to hearing from them." Charlton will present her last breakfast show on Thursday 25th August and work in the newsroom before heading off on maternity leave.